The iPad 3 took forever to charge when it first came out, thanks to the gigantic battery that powers the new Retina display. Now that Apple has updated to the iPad 4, they’ve also come out with a new 12W power adapter that gives us the power we need. 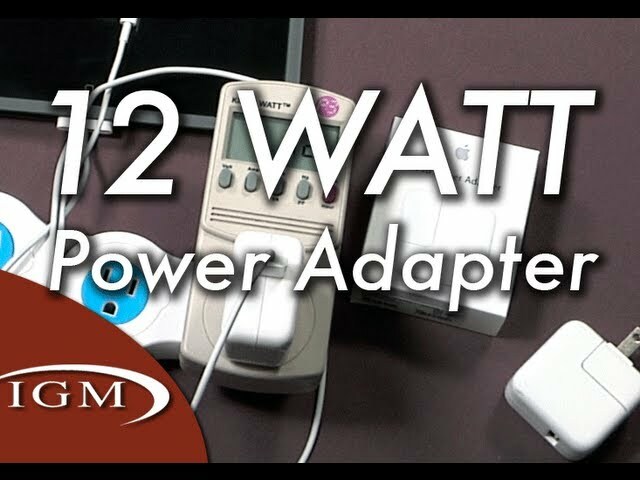 After running some tests on the new 12W power adapter next to the old 10W power adapter, Insanely Great Mac found that the new 12W power adapter will charge an iPad 3 or iPad 4 as much as 30-45 minutes faster. It doesn’t sound like much, but every second counts when you’re slaughtering your foes on Letterpress. You can pick the new adapter up from the Apple Store for 19 bucks.